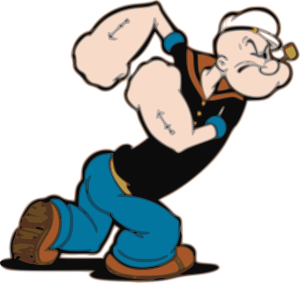 My earliest memories of spinach are of Popeye slushing down a can and turning into captain superman in the cartoon. I’m sure it must also have been part of our family diet but I was and still am a very picky eater and don’t remember eating it at all. 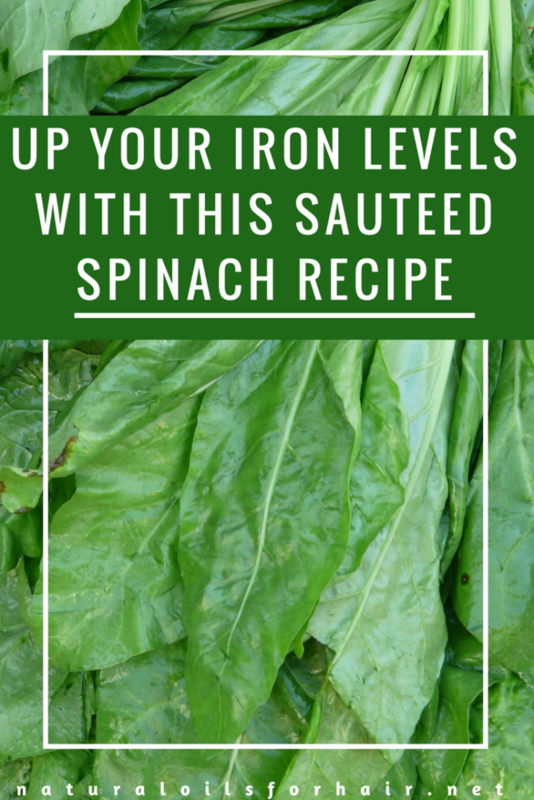 However, since my brush with iron deficiency a few years ago, I have tried to incorporate more iron rich foods into my diet and especially into my fitness challenge for 2016. Spinach is a leafy green vegetable rich in iron; a nutrient vital for healthy hair growth and also responsible for healthy red blood cells. Additionally, it is rich in vitamins K, A, C, B2 & folic acid. It also contains chlorophyll and carotenoids. 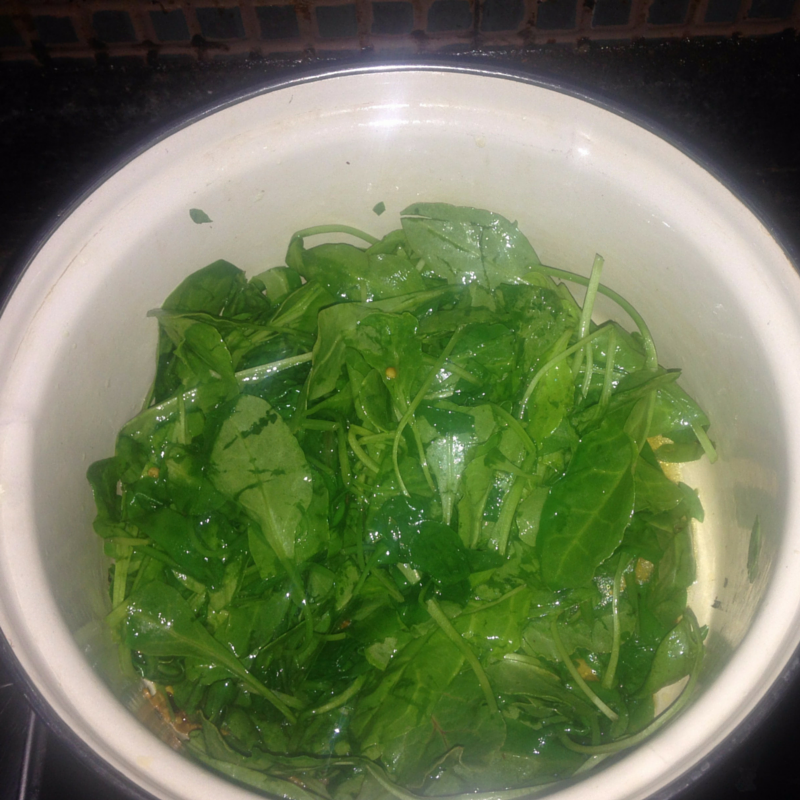 The first time I cooked spinach, I used a standard recipe but I didn’t like the taste and was ready to give up on it. However, after some research and testing, I put together another recipe and added in two ingredients that made all the difference in taste – sesame oil and light soy sauce. 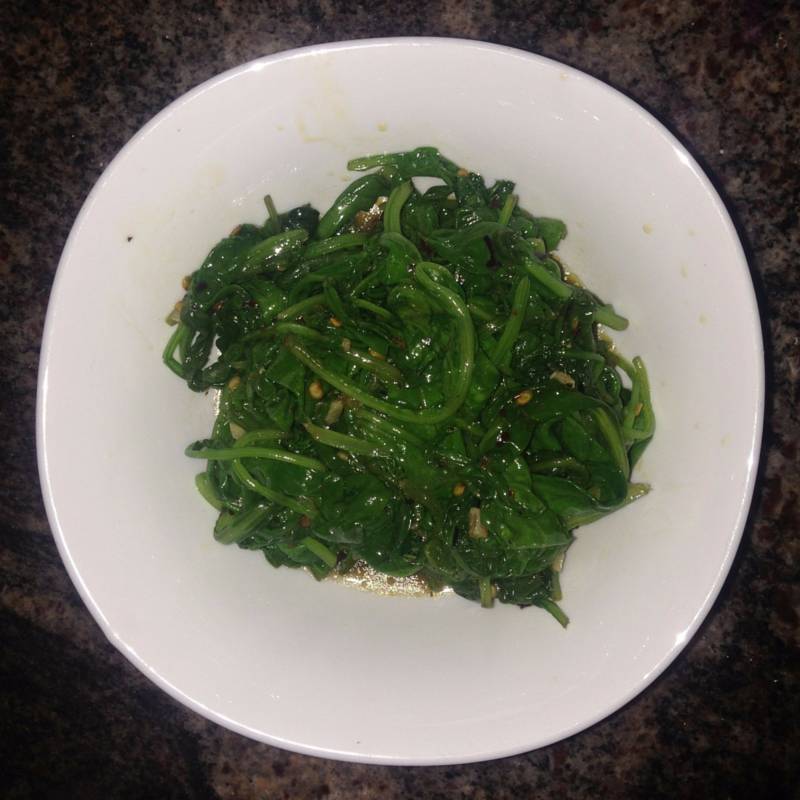 For this recipe, you will need a package of baby spinach (rinsed), salt, pepper flakes, garlic, sesame oil and light soy sauce. Add 2 tablespoons of sesame oil to a large pot and heat up. The smell of the sesame oil is nutty and lovely. 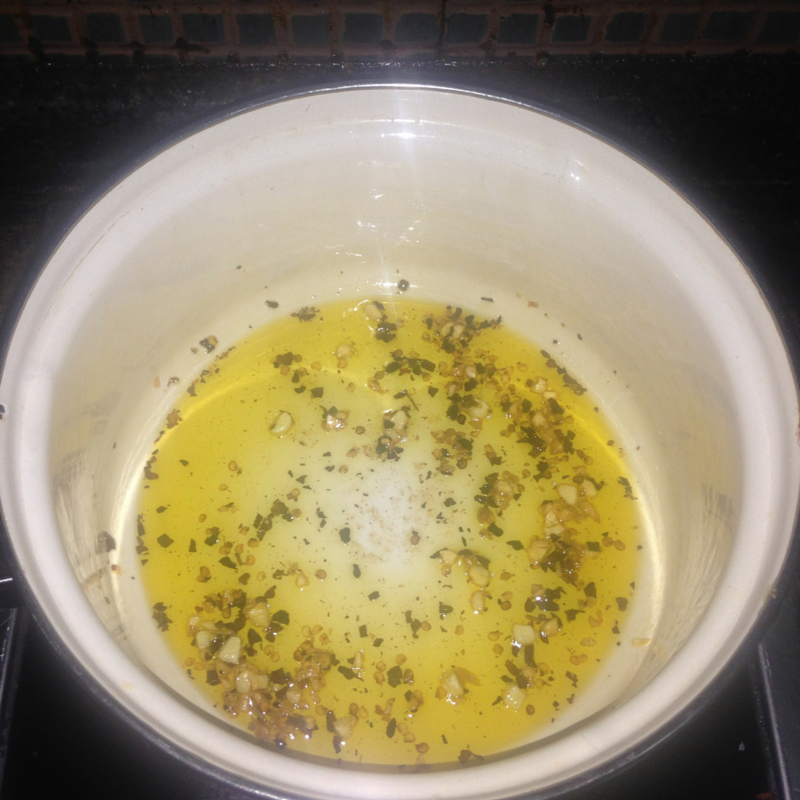 After the oil is hot, add a teaspoon of minced garlic and a teaspoon of pepper flakes. Cook until fragrant. Add in ½ the pack of baby spinach and coat into the oil mix. Add in the rest and coat in the mix again. Then cover the pot. 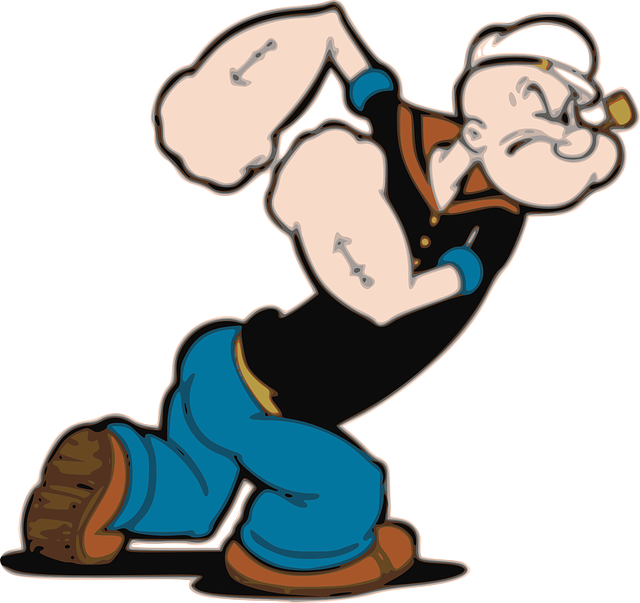 Don’t be scared if it looks like too much spinach. 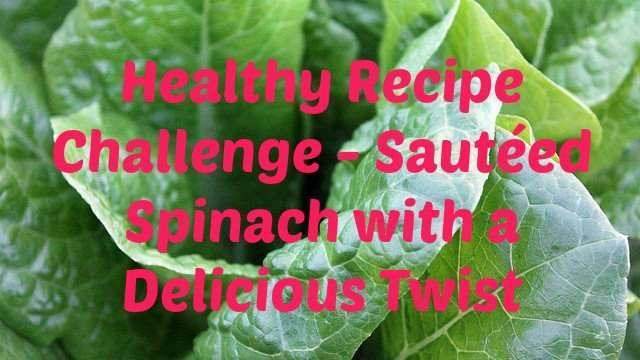 Spinach has a high water content and will wilt to about half its original size by the time you’re done cooking. Wait a few minutes then uncover the pot and start stirring the spinach, making sure it’s coated with the sesame oil, garlic and pepper flakes. 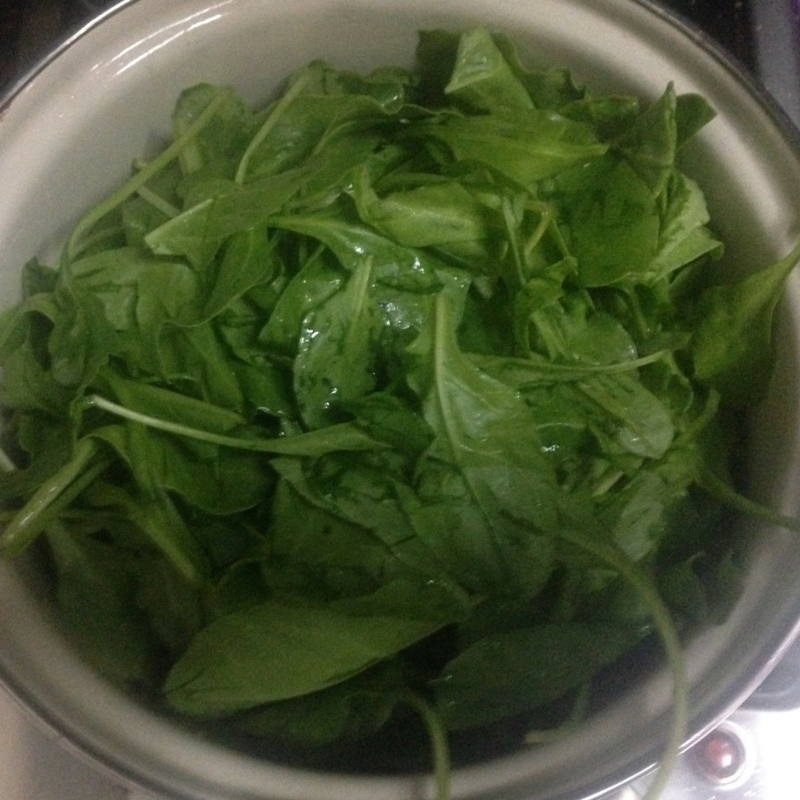 It should take about 1 – 3 minutes for the spinach to wilt completely. Add in a dash of salt and soy sauce. Stir for a few seconds and serve. You can add toasted sesame seeds or pine nuts if you like. When I tried the receipe initially, I used EVOO without soy sauce and didn’t like it. The package makes enough for a healthy side dish or quick midday treat. I usually eat this as an accompaniment to pan fried salmon or steak. I will be sharing those recipes shortly. Getting this into your diet 1 – 2 times a week is recommended. The calorie content of a pack of baby spinach (uncooked) is about 66 calories.